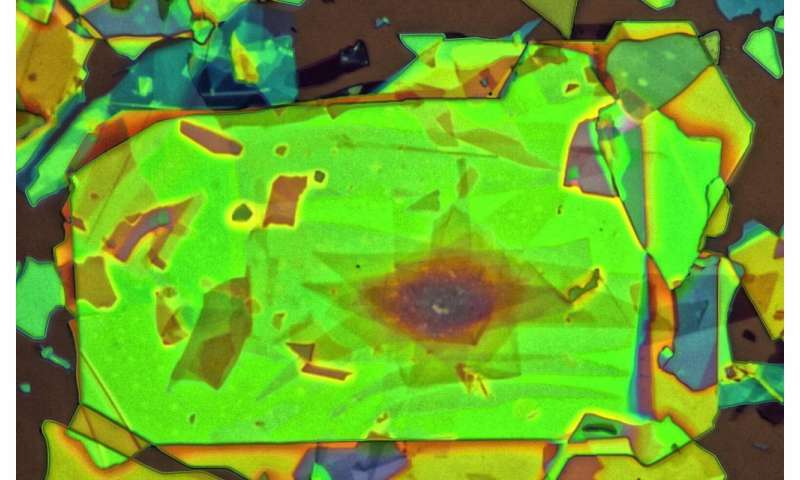 Van der Waals heterostructures are assemblies of atomically thin two-dimensional (2-D) crystalline materials that display attractive conduction properties for use in advanced electronic devices. Now, a Japanese research team led by the Institute of Industrial Science at The University of Tokyo has solved this issue by developing an automated robot that greatly speeds up the collection of 2-D crystals and their assembly to form van der Waals heterostructures. The robot consists of an automated high-speed optical microscope that detects crystals, the positions and parameters of which are then recorded in a computer database. Customized software is used to design heterostructures using the information in the database. The heterostructure is then assembled layer by layer by a robotic equipment directed by the designed computer algorithm. The findings were reported in Nature Communications. "The robot can find, collect, and assemble 2-D crystals in a glove box," study first author Satoru Masubuchi says. "It can detect 400 graphene flakes an hour, which is much faster than the rate achieved by manual operations." When the robot was used to assemble graphene flakes into van der Waals heterostructures, it could stack up to four layers an hour with just a few minutes of human input required for each layer. The robot was used to produce a van der Waals heterostructure consisting of 29 alternating layers of graphene and hexagonal boron nitride (another common 2-D semiconductor). 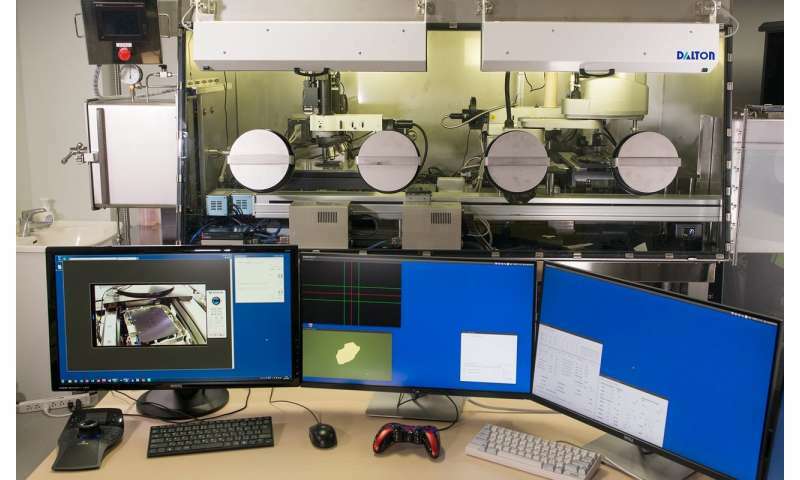 The record layer number of a van der Waals heterostructure produced by manual operations is 13, so the robot has greatly increased our ability to access complex van der Waals heterostructures. "A wide range of materials can be collected and assembled using our robot," co-author Tomoki Machida explains. "This system provides the potential to fully explore van der Waals heterostructures." The development of this robot will greatly facilitate production of van der Waals heterostructures and their use in electronic devices, taking us a step closer to realizing devices containing atomic-level designer materials.